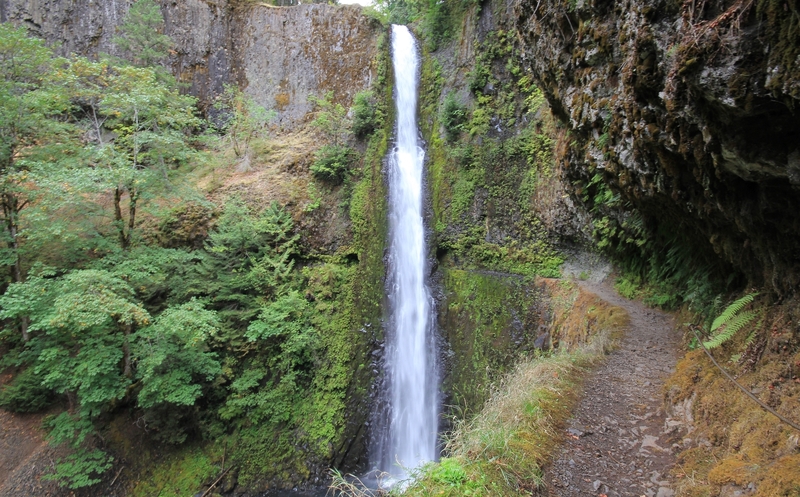 The premier hike in Oregon’s Columbia River Gorge taking hikers to five major waterfalls. 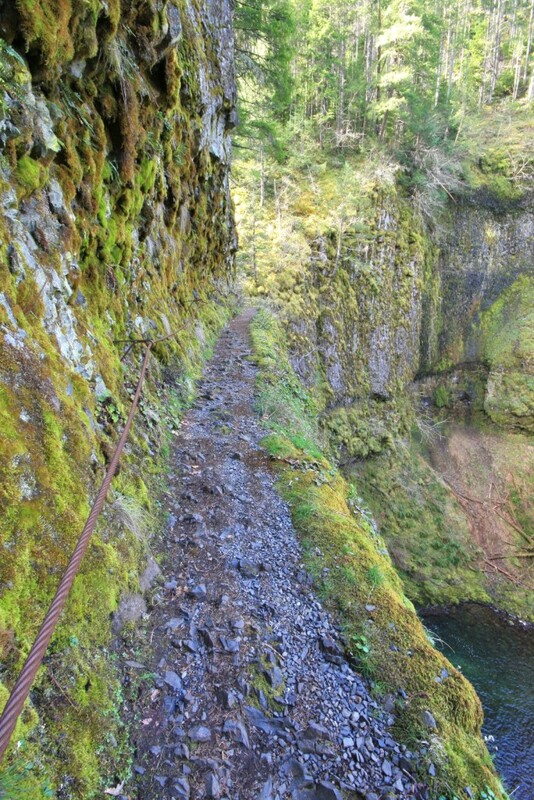 Difficulty: difficult due to distance +1,500′ elevation gain including Punchbowl Falls side trail. 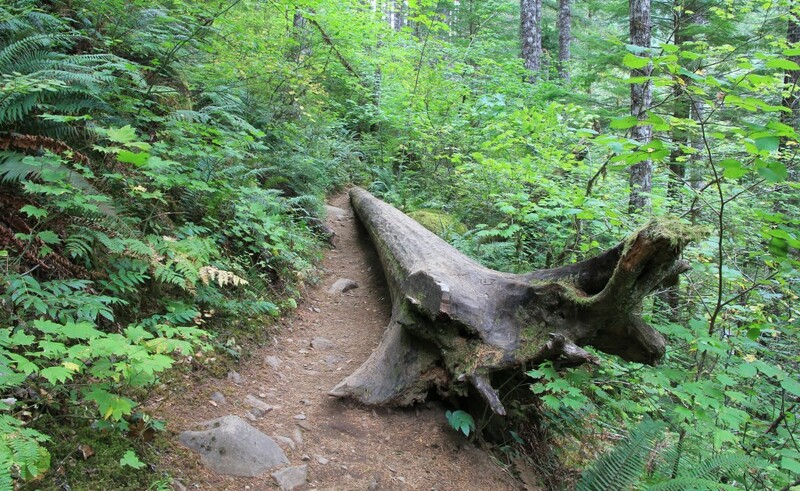 Caution: there are major drop offs on this trail. Fatalities have occurred. This is not a trail for unsupervised children or acrophobes. 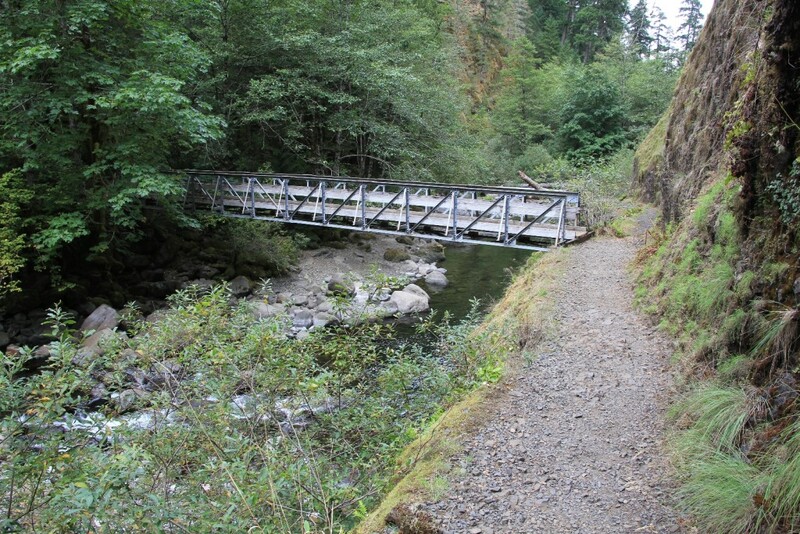 Update: Eagle Creek trail betweek Punchbowl Falls and High Bridge will be closed for at least the 2016 season. 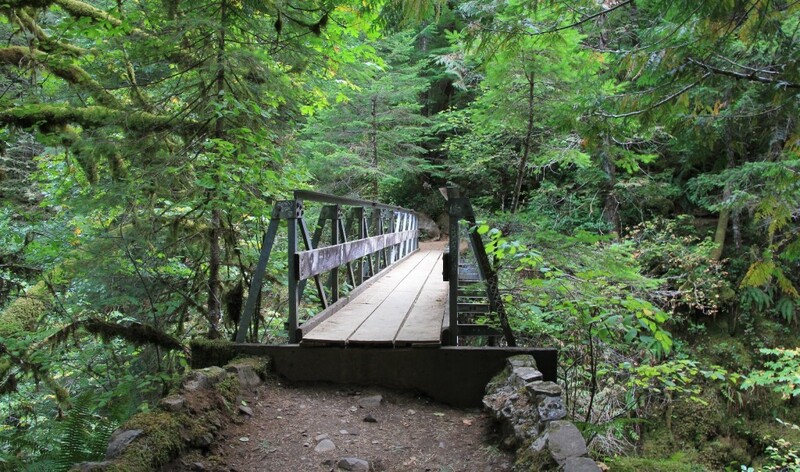 A falling tree crushed one of the bridges during a storm in December 2015. We took advantage of a beautiful long weekend in mid-September 2015 to hike the Elk Meadows area on the southeast flank of Mt. Hood (see post here), Paradise Park near Timberline Lodge at Mt. 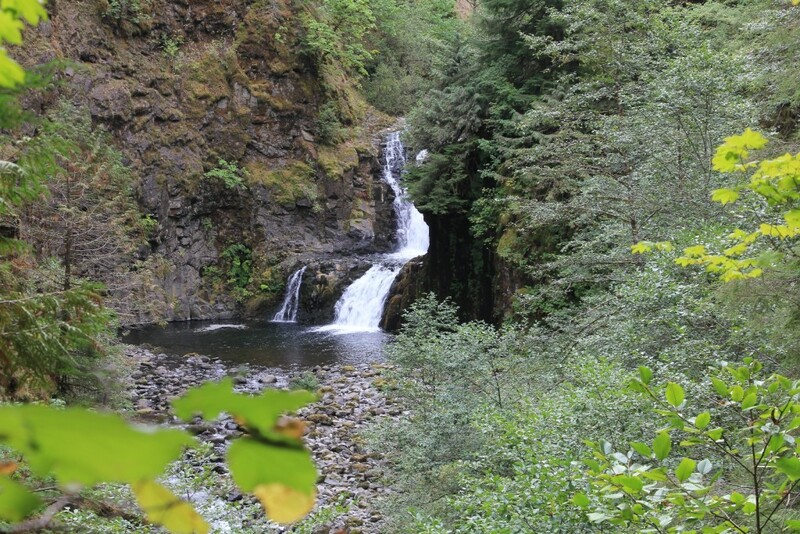 Hood (see post here), and Eagle Creek in the Columbia Gorge. After a wonderful weekend of hiking at Mt. Hood in perfect weather, Monday morning found us down in the Columbia River Gorge preparing to hike Eagle Creek, a tributary of the mighty Columbia River. 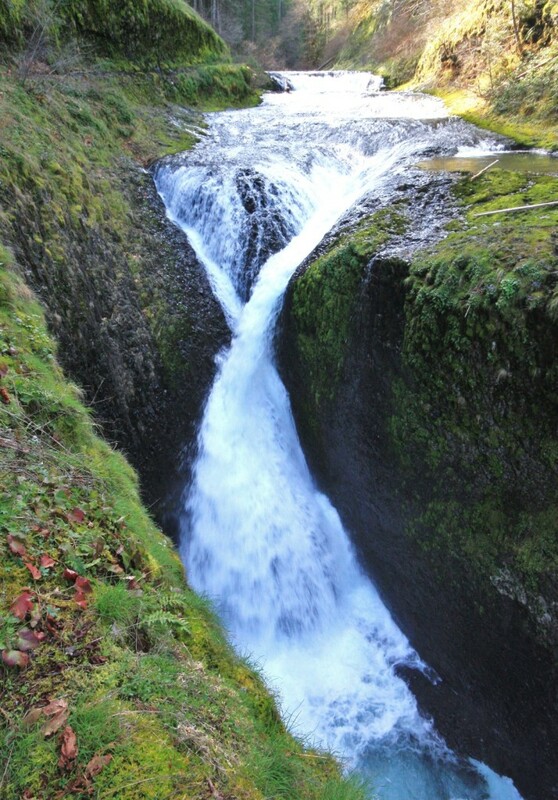 Eagle Creek is one of the most popular hikes in the Gorge and for good reason—the trail takes hikers to five major waterfalls and countless minor falls. On nice weather weekends, the parking lot resembles Disney Land by 10:00 a.m. thanks to its close proximity to Portland. My biggest word of advice for this trail, GO EARLY! 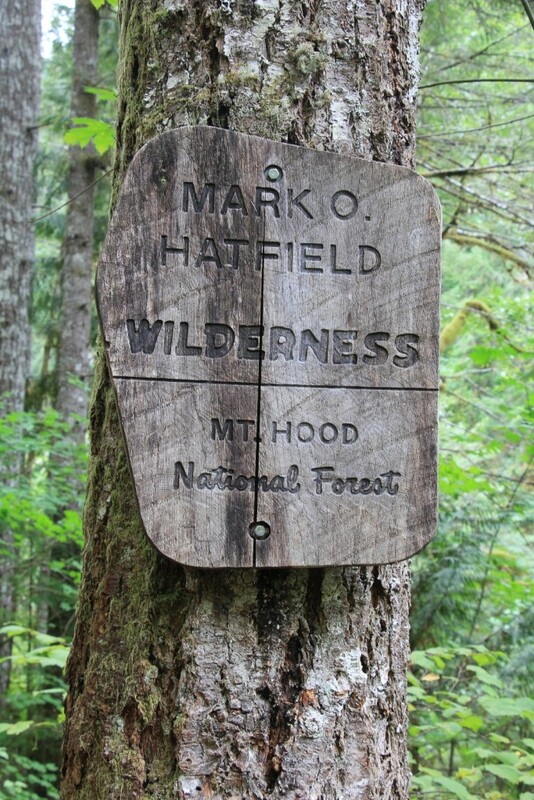 We arrived at the trailhead shortly after 7:00 a.m. on Monday morning. We were able to score a parking spot in the first small lot thanks to our early arrival. The later your start, the further away you’ll have to park which can tack a good little distance onto your hike. It was a cloudy day which would make for a perfect waterfall hiking day. 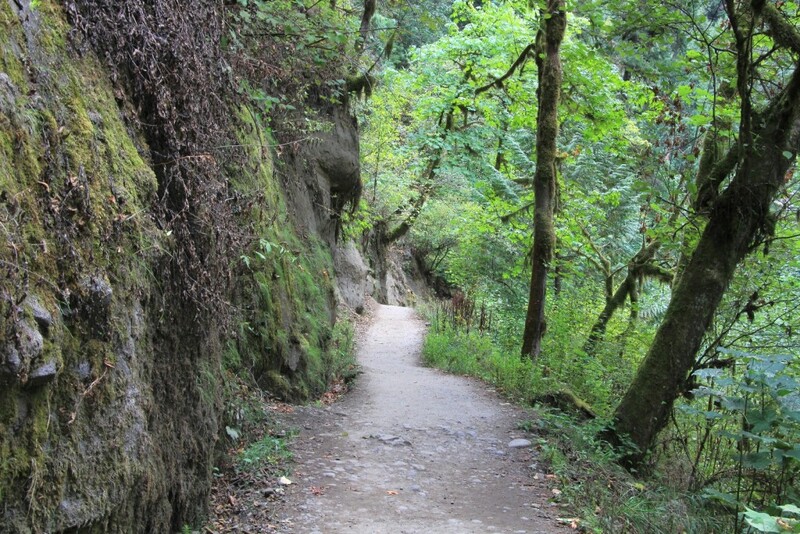 Like the first time we hiked Eagle Creek in 2010, we had the trail mostly to ourselves for the hike in thanks to the early start. 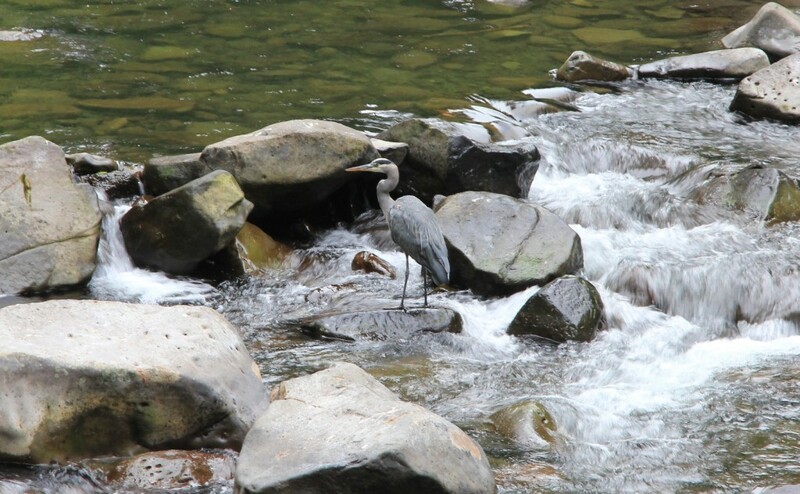 The creek level was significantly lower than in spring of 2010, but it was still lovely. 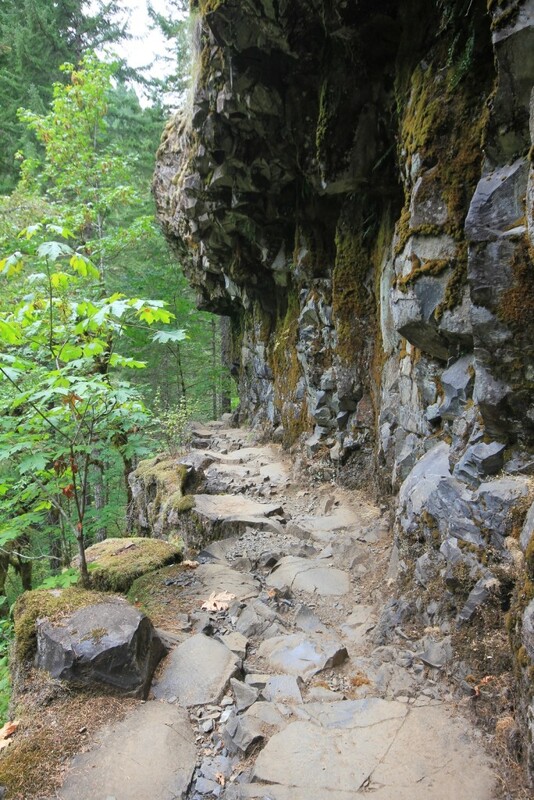 Much of this trail is narrow and passes along cliff ledges high above the creek. There is significant exposure in places. 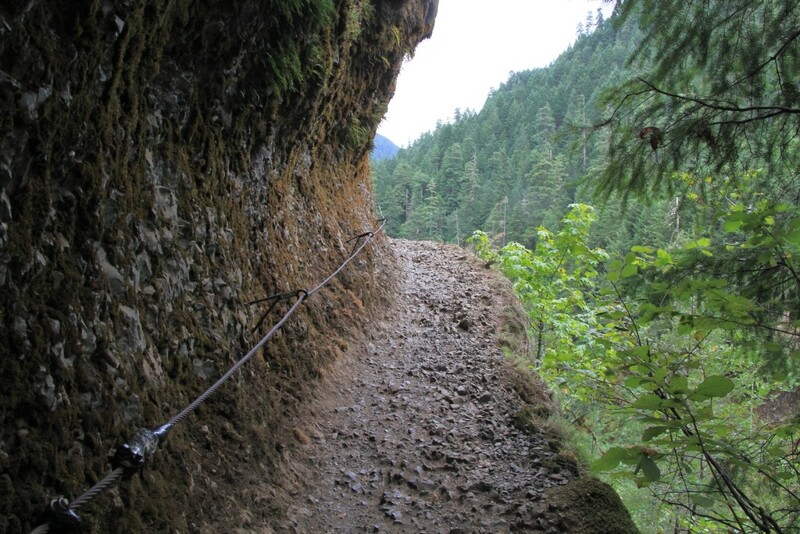 In the narrowest of stretches, steel cables bolted into the cliff wall provide extra assurance and support. Much of the tread is fairly rocky which beats the feet up a little. There is about 1,500′ of elevation gain (1,200′ if you don’t add on the drop down to the base of Punchbowl), but the gain is so gradual that you don’t even notice it. 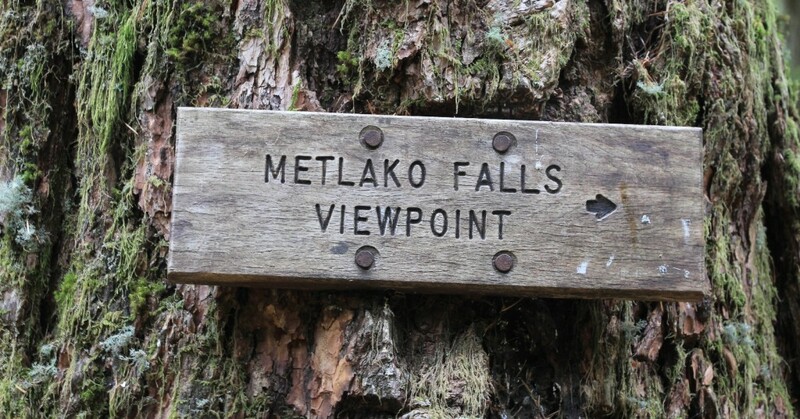 Metlako is the first falls on the trail at approximately 1.5 miles in. 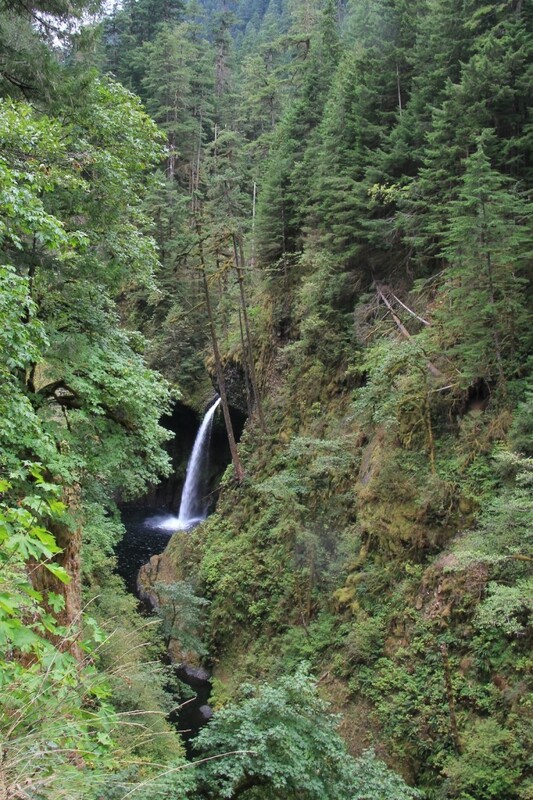 Side trails lead to viewpoints down onto the 100′ falls. 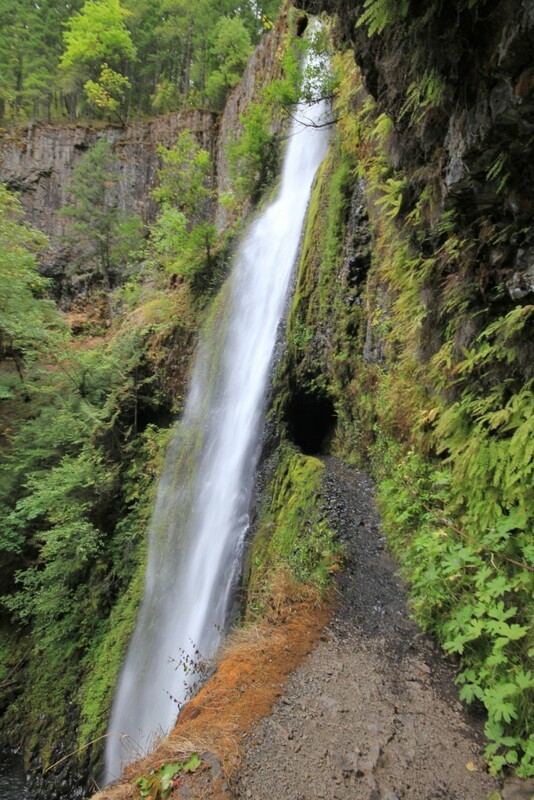 At roughly 2 miles in, a side trail to the right takes off to the base of 30′ Punchbowl Falls. It drops down maybe ¼ mile and a few hundred feet. 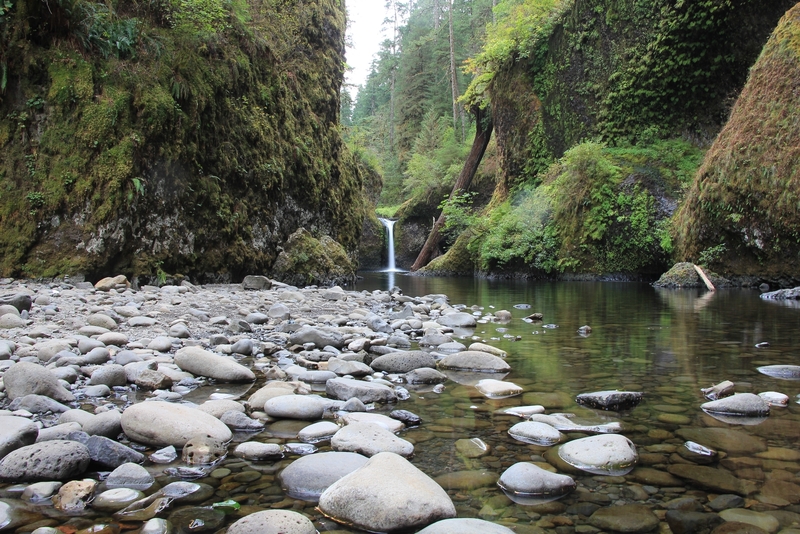 Once at the bottom, a short scramble over rocks to the creek side provides a unique upstream view up of Punchbowl Falls. This perspective is very different from the viewpoint above on the main trail. At roughly 3 miles from the trailhead, we spotted Loowit Falls across the canyon. Just past Loowit, we came to High Bridge which is roughly the half way point. 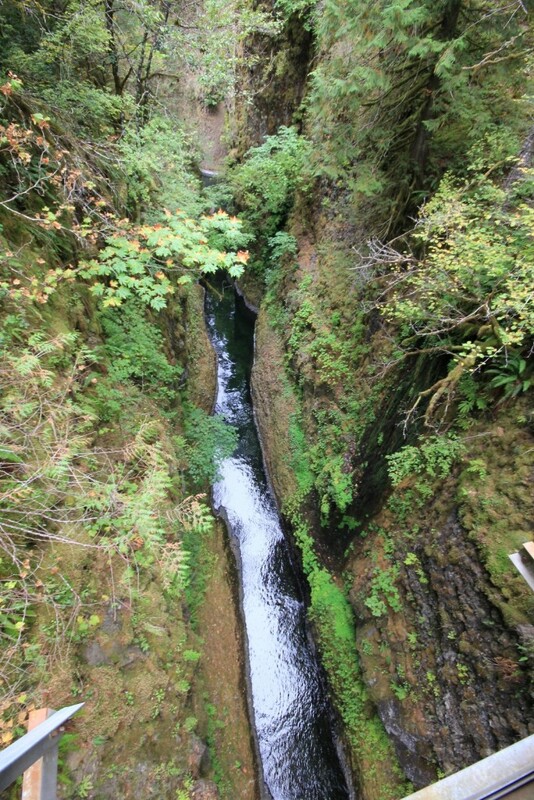 The views down into the Eagle Creek Gorge are impressive. A short distance further we passed a nice backpacking site they call Tenas Camp. From there we crossed 4 ½ mile bridge. Roughly a mile after that we came to some nice backpacking sites off to the left (Wy’east Camp) and a short distance later on the right (Blue Grouse Camp). 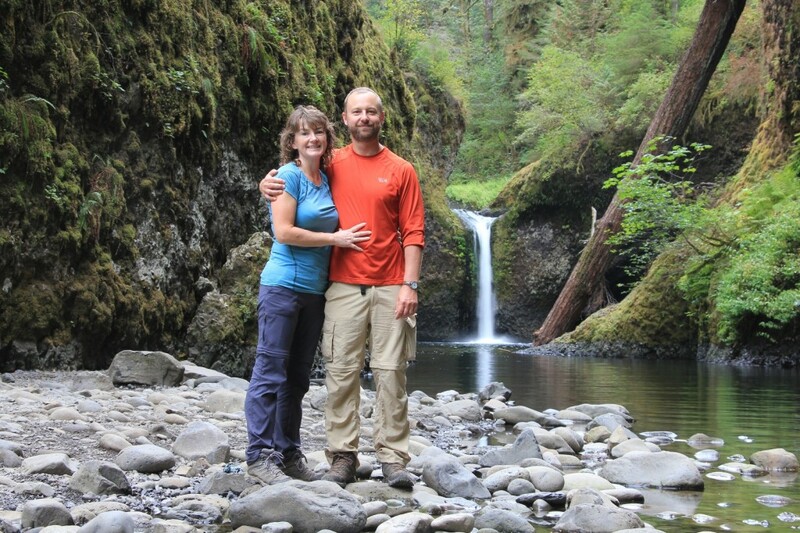 At roughly 6 miles from the trailhead we reached magnificent Tunnel Falls. 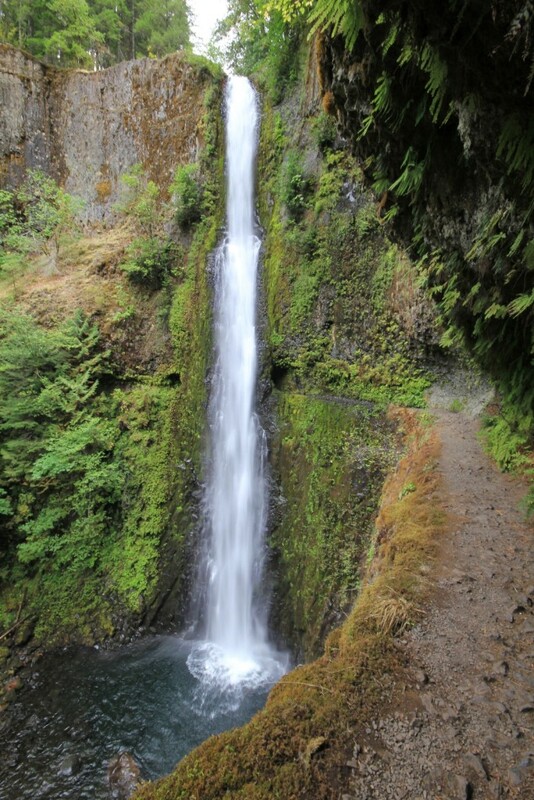 The massive 120′ falls gets it name from a tunnel behind the falls that has been blasted out of the cliff walls. We walked through the tunnel and snapped some photos from the far side. 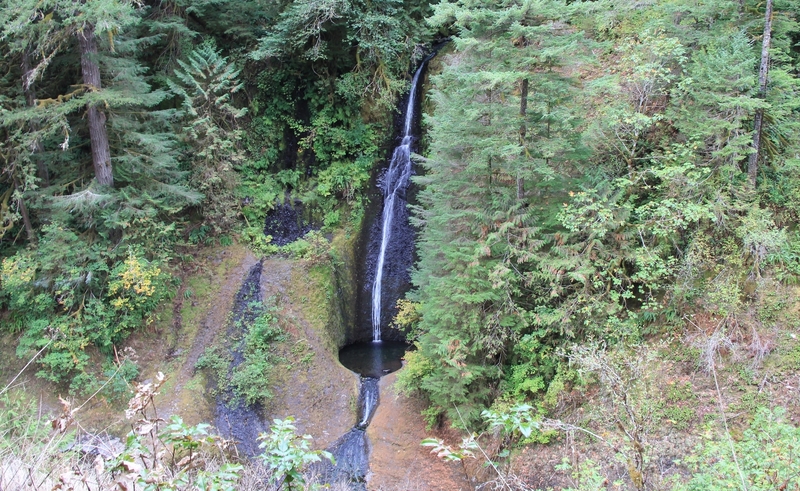 From there it is a short distance along a skinny stretch of trail with significant exposure to Twister Falls. We had a nice return hike. After two days of hiking at Mt. Hood, the return trip seemed like a bit of a death march, particularly the rocky parts. We passed quite a few people on our way out, more than I would have thought on a Monday. 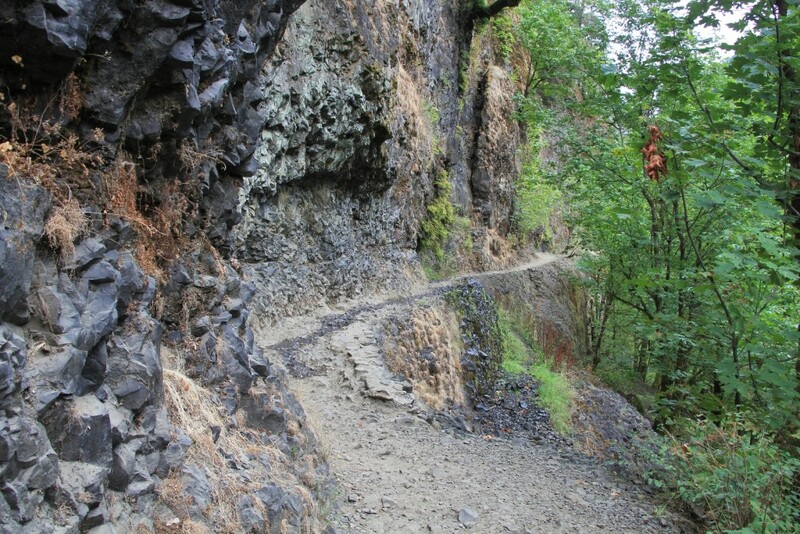 Directions to the trailhead: From Portland, head east on I-84 to exit 41 for Eagle Creek. Turn right at the stop sign and continue for 1/2 mile to the end of the road.